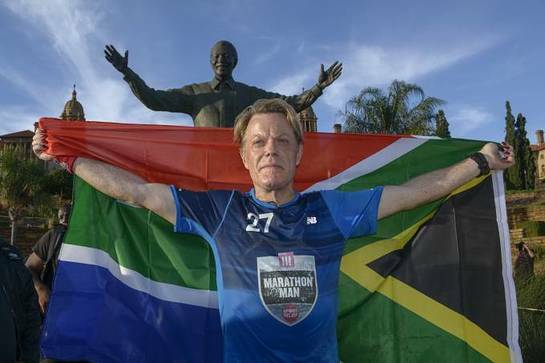 Comedian Eddie Izzard has completed an astonishing 27 marathons in 27 days across South Africa for Sport Relief. Exhausted but ecstatic, he ran over 700 miles and raised more than £1.6 million to help people living incredibly tough lives in the UK and around the world. On Sunday 20th March he completed an amazing two marathons in just 11 hours and five minutes to reach the end in Pretoria. “This has been a long project but with the help of ‘Team 27’ I did it. 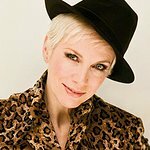 Thank you so much to everyone who donated,” Eddie said. In 2012, Eddie attempted the same challenge but had to stop due to health concerns. This year Eddie has battled heat exhaustion, dehydration and sunstroke to complete his mammoth feat. He started his epic challenge on Tuesday 23rd February in Myezo, the birthplace of Nelson Mandela, with a route which traced the story of Mandela’s life. It took in the university he attended and Robben Island where he was imprisoned for 18 out of his 27-year-prison sentence. Along the way Eddie visited communities, organisations and families that have all been helped by the work of Comic Relief. And he was followed by BBC Three who documented his journey. He then finished at the Union Building in Pretoria, where Mandela was sworn in and gave his first speech as President. Along his South African journey, on day five, Eddie was forced to take a rest day due to ill health – but amazingly he picked up the time to complete the full challenge with a double whammy on the final day. He ran in heat temperatures of up to 42°C and managed to complete one of his marathons in just 5 hours and 34 minutes – despite the conditions. On Friday 18th March he received a surprise phone call from the International Space Station as astronaut Tim Peake rang to wish him good luck.